We all hear the same thing over and over.... Drink more water and it will hydrate your skin and your skin will be gorgeous blah blah blah. This is not entirely true, drinking water does not directly make your skin more hydrated.. I had believed most of my life that my skin was dehydrated because I didn't drink enough water. So I would chug my way through bottle after bottle and see no difference. I couldn't understand, while I was training to be a Facialist at the Beauty School I was shocked to find out that one of the most common tips I had ever been given was a myth. I actually think I may have offended my tutor by laughing when he said this. I have a habit of putting my foot in it but I couldn't help it I was drinking through my second bottle of water of the day thinking oooh yeah they will think I am great because I drink water and look after my skin. He explained that there have not been enough extensive surveys done to really confirm this common misconception, in fact one survey found that there was no difference between drinking very little water, to drinking in excess, it did not change the appearance of the skin of those who were monitored. Now I will say that it does indirectly help your skin, because drinking adeqaute amounts of water does help blood flow which helps direct more oxygen and nutrients to your skin through your blood stream. However drinking until you are turning in to a fish will not make your skin any better. There are easier ways of doing this, a good hydrating moisturiser will work to bring life back to your skin. As someone who has always been interested in beauty and skincare I have tried a lot of products and different kits from different brands. 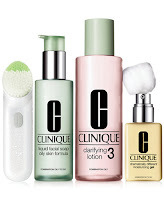 I remember thinking I wasn't a good 'beauty guru' if I didn't use Clinique, so off I went and £80 later I had a c@%p tonne of products to make my skin amazing. 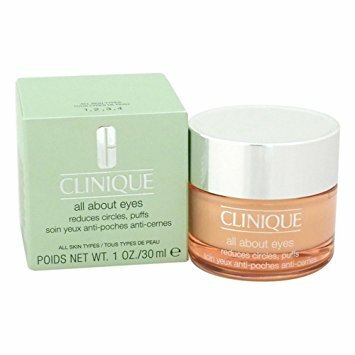 I used their 3 step system and their eye cream every day religiously, but my skin just felt like it was full of product and like it was being weighed down. It became more oily and my makeup did not sit right anymore. So I moved on, I remember getting a set from Soap n Glory one Christmas and falling in love with the products. It was called Facetime. It came with a pack of Off Your Face make up removal wipes, a Puffy Eye Attack eye cream, a Smooch Operator lip balm, and Feel Good Factor translucent BB Cream. 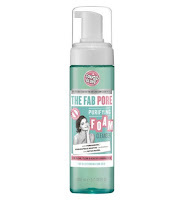 I also received some other items from Soap n Glory which came with the Fab Pore foaming face wash. 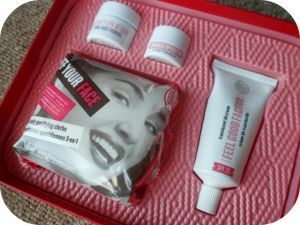 I really loved these products and felt my skin was starting to really take on a new lease of life. 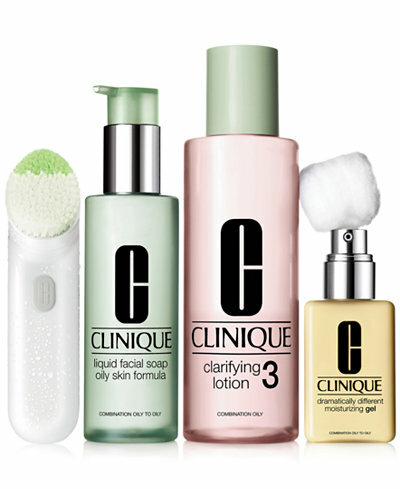 I loved trying new products and over time I have tried different skin care products from different brands and there is two brands that I always come back to. Kaeso and Simple. I have tried so many different products from Simple, but my most recent purchase and trial has been the best by far! The Simple Water Boost products have been so thoroughly moisturising that I am not sure I want to even try anything else!! These are the products that are currently in my Arsenal. The Simple Waterboost micellar water, the day and night moisturiser, the facial wash and hydra boost. I also am currently using my Oolution Break the Rules eye cream, which is ok but I won't be repurchasing. I am in love with my Dr Botanicals Morroccon Rose Oil, I use it at night and my skin feels amazing and smells gorgeous. I love a good lip scrub, this coffee and cocount scrub from Jelly Pong Pong is deliciously exfoliating and hydrating, Throughout the day I use my lip balm which I can for the life of me remember the name. Also I use my Apple spray from Country and Stream to give my skin a wee refresher as the day wears on. Currently this is the routine that is keeping my skin fresh and beautiful and allows me to feel confident even when I am not wearing makeup! What is in your skin armory? Is there anything that you recommend that I should give a go? Let me know in the comments if this post was useful and if you would like me to post more things like this.